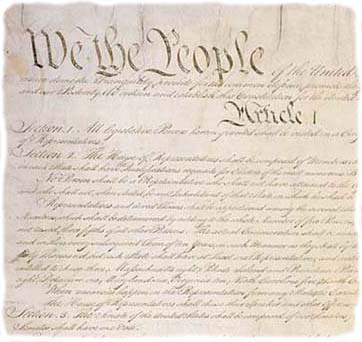 The Task Force on Executive Overreach is authorized for six months and will study the impact the increase in presidential and executive branch power has had on the ability of Congress to conduct oversight of the executive branch, the lack of transparency that furthers unchecked executive power, and the constitutional requirement of the President to faithfully execute the law. Additionally, the task force will review the tools at the disposal of the Congress to restore the proper balance of powers and hold the executive branch accountable. It will also make recommendations where there are deficiencies, including legislative solutions. In addition, the very same day, Senator Mike Lee led a handful of conservative lawmakers from both chambers of Congress in launching the Article I Project. In Senator Lee's own words, "The premise of the Article I Project is simple: the federal government is broken, and congressional weakness is to blame." Both of these projects are supported by some of the best and brightest conservative minds in Congress, and they should both be able to complement each other to find the best ways that Congress can reclaim the power it has so long neglected. In some cases this will mean actual legislation; for example, to limit how freely executive branch bureaucracies can regulate and interpret laws. In other cases Congress needs merely to adjust its tactics, reacquainting itself with its oversight authority and it power over the national purse. The constant expansion of the executive branch has been a strongly bi-partisan problem, and has led to the creation of a "4th branch" of government - the regulatory branch - that only Congress can rein in. Rediscovering the central role of Congress to our republic will be vital if we ever hope to get a grasp on the massive federal bureaucracy that actually produces the vast majority of new laws and red tape each year. Both Chairman Goodlatte's Task Force on Executive Overreach and Senator Lee's Article I Project are tremendously positive steps to restoring balance to our broken, out-of-control government.